As of today, Google Drive hasn’t provided an official client app for Linux and it seems has no plan to so in the near future. Linux users who use Google Drive — like it or not — have to seek for an unofficial client app to sync their Google Drive files to their computer. Luckily, there are plenty of amazing developers who kindly develop unofficial Google Drive clients for Linux so you don’t have to make a switch to Windows or Mac only to sync your Google Drive files. Not all Google Drive client apps for Linux have a pretty interface like the official app. In fact, some apps require you to perform some commands on terminal. But, they work. Here are 6 Google Drive client apps for Linux you can try. 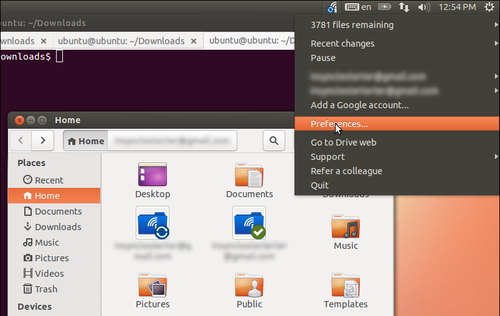 The first unofficial Google Drive client for Linux you can try is GoSync. It’s a GUI based app, written in Python by an Indian developer Himanshu Chauhan. Himanshu released his project as an open source software under the GNU GPL version 2.0. As Himanshu said, GoSync is still far from perfect. At the time of writing, it is not configurable yet. GoSync does the sync every 10 minutes. Once installed the app, your Google Drive files will be synced to your computer right way without needing to perform anything. You can pause it by clicking “Pause/Resume Sync” menu item. Grive2 is a CLI-based Google Drive client for Linux. It is forked from Grive. Grive2 is written in C++ and interacts with Google Drive through the REST API from Google Drive. Since Grive2 is a CLI-based tool, you have to run it via terminal. Grive2 will download all of the files on your Google Driv account into the the current directory where you run it. To upload local files, you can re-run the Grive2 app and it will upload your changes back to your Google Drive. A bit hassle, but it works. This app requires some libraries to run, including libcurl, libgcrypt, yajl 2.x and libstdc++. CloudCross is also a CLI-based app like Grive2. However, this app is not specifically built for Google Drive. Instead, you can also use it to sync other cloud storage services like Dropbox, OneDrive and Yandex.Disk. CloudCross isn’t also built exclusively for Linux. This app is also available for Windows and macoS. CloudCross allows you to sync all of the local files on your computer or only selected files and folders. The use of CloudCross is a bit complex especially for those who don’t familiar enough to terminal. Again, RClone is also a CLI-based app so the use of this app might can be a bit daunting for those who don’t familiar to using CLI. Same as CloudCross, RClone isn’t also built specifically as a Google Drive client. Instead, it’s intended to be a desktop client for cloud storage services generally. In addition to Google Drive, you can use RClone to sync cloud storage services like Dropbox, pCloud Drive, Box and OneDrive. Rclone features one-way directory sync, syncing between two different accounts, an encryption and so on. This app is licensed under the MIT License. Insync is a GUI-based Google Drive client you can install on Linux. It is probably the best Google Drive client for Linux. You can use this app to sync your Google Drive files to your computer in a very easy way. It supports selective syncing and multiple accounts. It’s just, Insync is not a free app. You need to pay for $30 to use it. There is a 15-day trial period you can take advantage of to try this app out. Back to CLI. 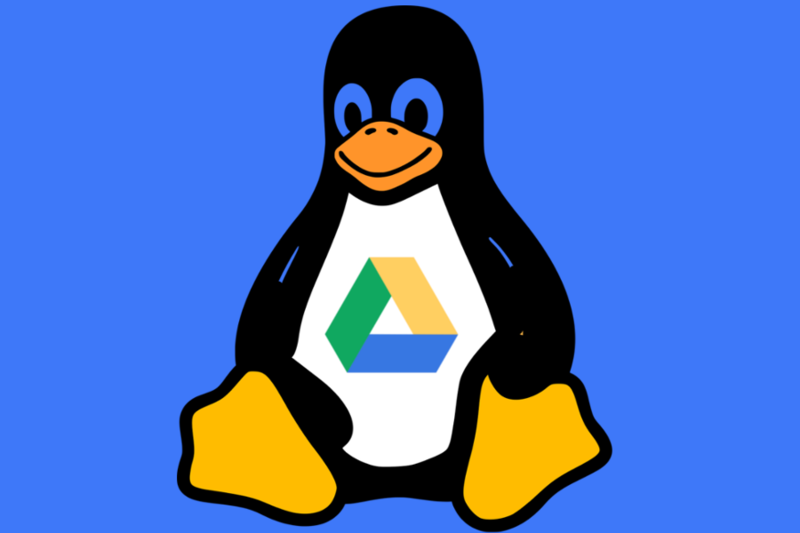 Another Google Drive client you can use to sync your Google Drive files to your Linux machine is Drive. This app was originally developed by a San Francisco developer named Burcu Dogan. But now, the app is maintained by Emmanuel T Odeke. The use of Drive is also a bit daunting for those who don’t familiar with CLI. There is a helpful documentation on the GitHub this app to guide you.